Alaskan artist Ray Troll was a Sitka Artist-in-Residence in the spring of 2013. 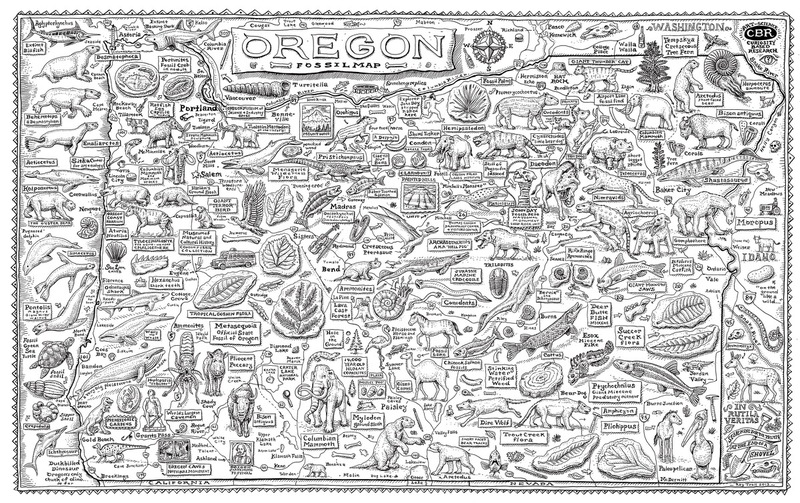 While at Sitka he created a meticulously detailed “Oregon Fossil Map”. Drawn with pen and ink on archival paper it measures 28 inches by 48 inches. 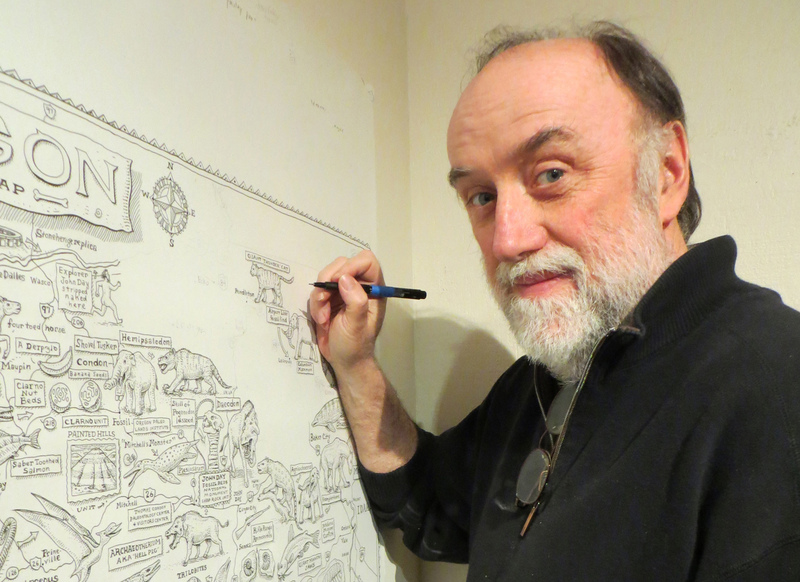 Made in collaboration with paleontologist Dr. Kirk Johnson (director of the Smithsonian National Museum of Natural History) for their ‘Cruisin’ the Fossil Coastline’ book, the drawing brings to life ancient plants and animals sprinkled alongside modern roadside attractions. This framed original drawing will be on display at the Sitka Art Invitational and will be auctioned off online with an opening bid of $3,500. The auction ends Sunday Nov 4 at 2:40pm. Click to see the auction.